Lease available with credit approval through Mazda Capital Services. Not all will qualify for lowest payment. Must take delivery from dealer inventory by 11/30/2016. See Dealer for Details. Even if you’re on a tight budget, you can drive home in a shiny, new Mazda thanks to the special offers available at Midlands Mazda. Whether you’re in the market for a Mazda6, Mazda CX-5, or any other great Mazda model, you can count on our Finance Department to get you behind the wheel for the right price. Before you stop in to explore our Mazda inventory in person, be sure to check back on our rotating Mazda lease deals and finance offers to get the best deal on the car that’s right for your lifestyle and budget. 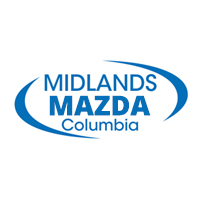 Feel free to contact us online if you’d like to learn more about our current Mazda deals. In the meantime, use our auto finance calculator to estimate monthly payments.